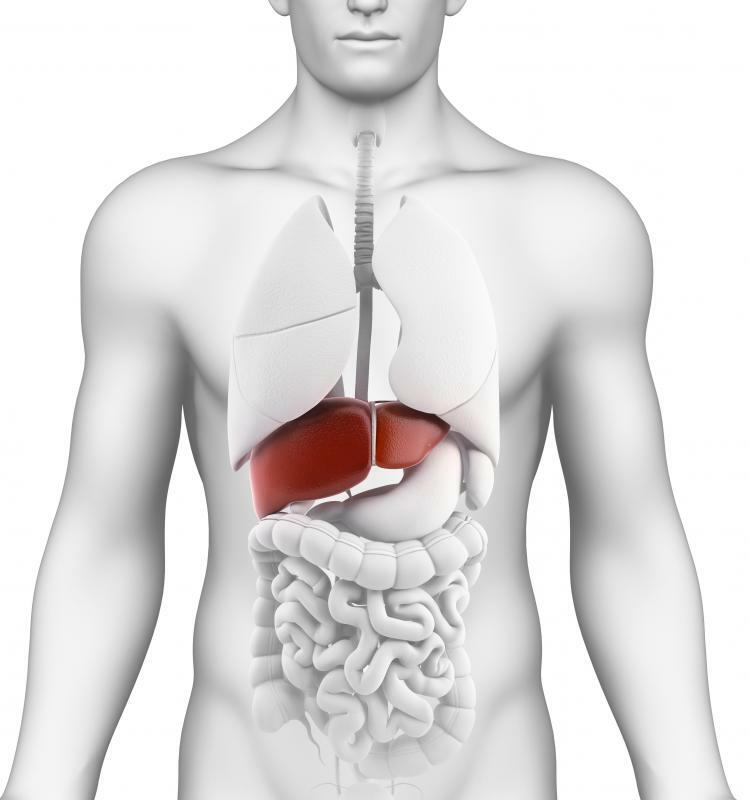 High density lipoprotein carries cholesterol to the liver, where it can be metabolized. Blood tests may be conducted to measure levels of LDL and HDL. Lipoproteins help transport fats that cannot dissolve in the blood. LDL cholesterol negatively impacts the body by accumulating in the arteries. 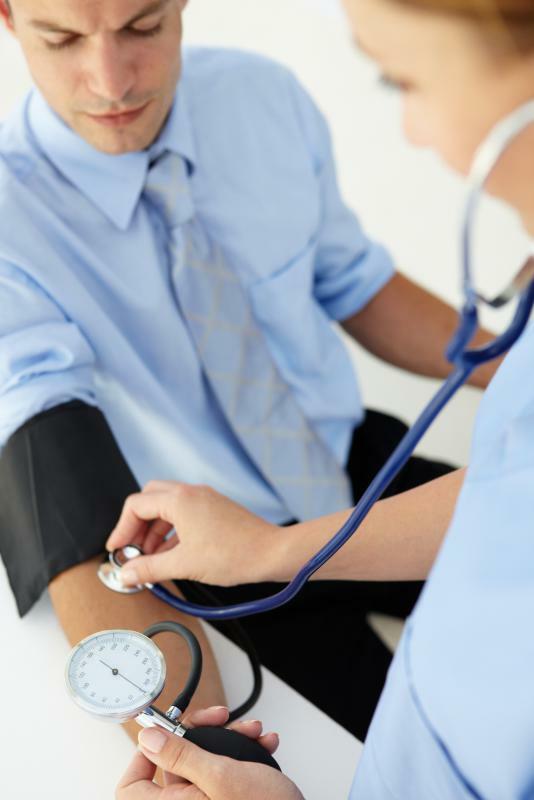 The vertical auto profile (VAP) test can help assess a patient's risk of developing high blood pressure. Simply put, a lipoprotein is a biochemical assembly made up of lipids, which are fats, and protein molecules. The fat and protein molecules are bound together in different ways depending on the type of lipoprotein. A specific kind of protein, known as an apolipoprotein, bonds to a lipid through a covalent or noncovalent bond at the atomic level. Lipoproteins are vital to body functions because they serve to transport different forms of fat and cholesterol to areas in the body where they are needed. This transport system is necessary because these types of fats cannot dissolve in the blood. While the best-known types of lipoprotein are the different kinds of cholesterol lipoprotein, they are also a vital component in enzymes, antigens and other important elements. Because of concerns about high cholesterol and its role in various health problems, many people have heard of high density lipoprotein (HDL) and or low density lipoprotein (LDL). HDLs are commonly known as "good" cholesterol, and LDLs are termed "bad" cholesterol. 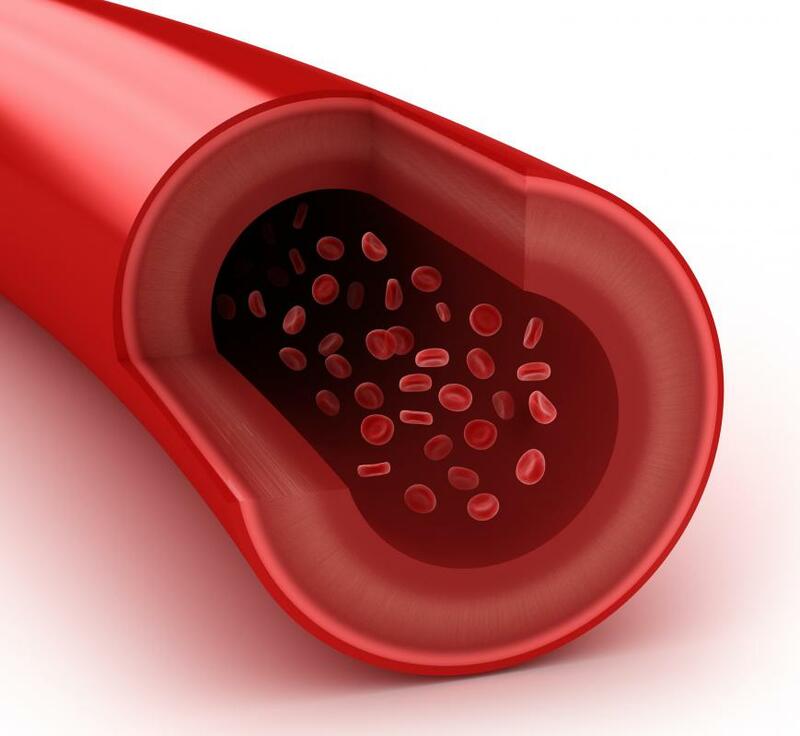 LDL can build up in the arteries, forming plaque and eventual blockages that can lead to heart disease or stroke. 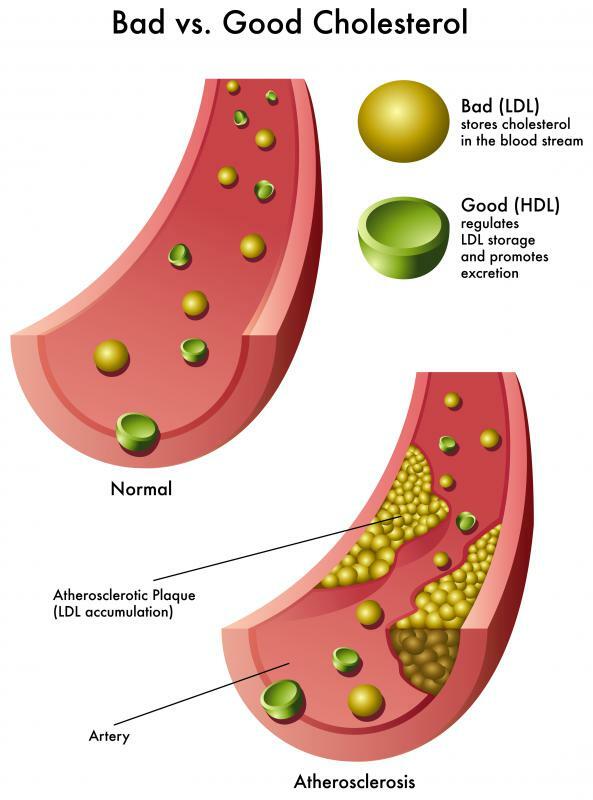 HDL, by contrast, seems to carry cholesterol through the system to the liver, where it can be properly metabolized. Though experts are not entirely certain how it does so, HDL seems to protect the cardiovascular system from disease. 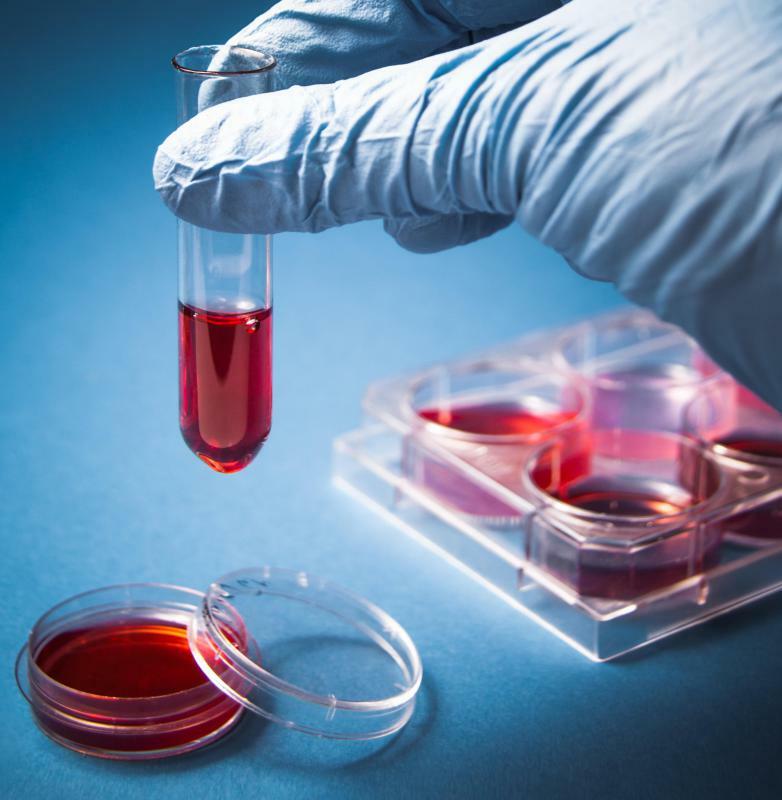 The levels of LDL and HDL in the bloodstream are measured with a blood test. The standard lipid profile test helps determine the type of lipoprotein present in the blood stream, as well as the ratio between high density and low density lipoproteins. This test also measures triglycerides, another type of fat produced by the body that can affect the risk of heart disease. More recently, a more comprehensive test, the vertical auto profile (VAP) test, was developed. The VAP test directly measures LDLs, as well as many other lipoproteins in the bloodstream, rather than just HDL, LDL and triglycerides. While the standard test measures four components, the VAP test measures 15 components. Because the VAP test provides so much more information, it can help determine more risk factors for individuals with a family history of heart disease, diabetes, stroke and high blood pressure. 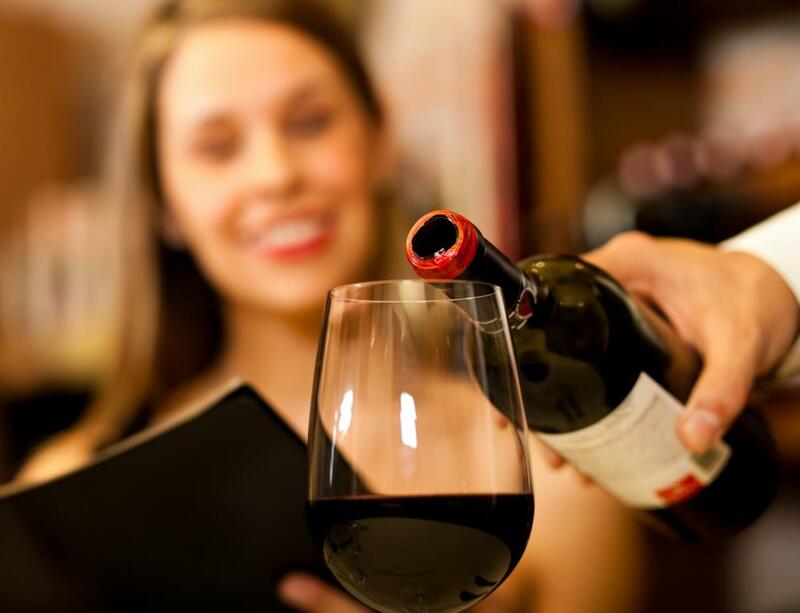 Additional research is being performed regarding these elements and their roles in maintaining overall health, as well as how they can endanger health. As this research has been performed, additional guidelines have been developed about optimal levels of lipoproteins in the system. Future research undoubtedly will bring even more knowledge about these complex, vital substances. @Ana1234 - Well, there's a simple solution to that. Just make most of your own food. It's not that hard and it tastes so much better. I had a lipoprotein test recently and it came back really good, even though I eat fatty red meat all the time. In fact it was better than a friend of mine who is vegetarian. And I'm sure it was because I try not to eat processed foods at all. I'm also very careful with my cooking oil, because overheating it can change it to trans-fats and I eat butter rather than margarine because that's a source of trans-fats as well. @Fa5t3r - To me, the worst source of misinformation is the studies which linked high cholesterol to eating saturated fats. Yes, they aren't terribly good for you because they are so high in energy they can cause you to gain weight, but what's much worse for your heart is trans fats and sugars, particularly corn syrup. Which is why, even though we've been aware of the saturated fats thing for a while, heart disease rates are getting worse and worse. Because corn syrup is in something like 70% of processed foods now. And we use trans fats for everything. I think there's a lot of misinformation around about the actual role that fats have in the body. I know a lot of people who think that eating any kind of fat at all is terrible and it should be eliminated completely from the diet if possible. Unfortunately, they don't realize that you really need lipoprotein, even cholesterol in order to live. Your body uses it in brain function and various other tasks, not just in energy storage. I'm not sure if anyone can really eliminate fat from their diet without refusing to eat altogether though, because it's in a surprisingly large amount of food items.